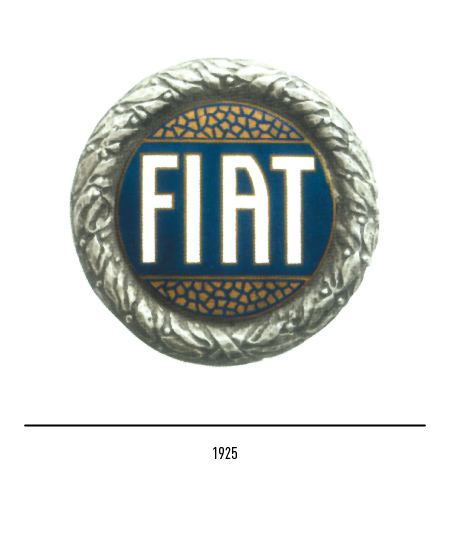 FIAT's history and that of Italian industrialisation practically go hand in hand, with the corporation also playing a major role in the countries export. 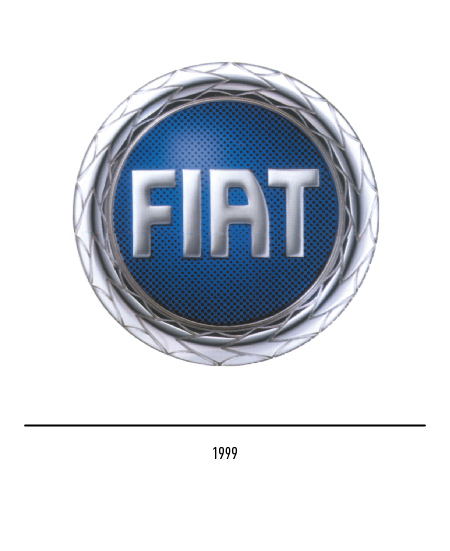 FIAT, the acronym for "Fabbrica Italiana Automobili Torino" was established in 1899 by a group of Turin businessmen headed by Giovanni Agnelli who decided to construct a motor vehicle prototype. 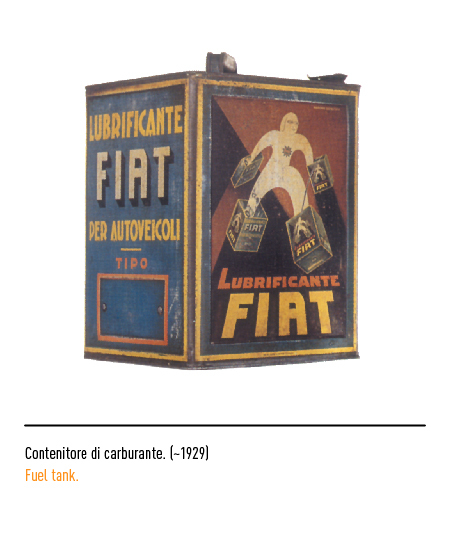 The creative ferment and social milieu of the city in those years when Turin was a veritable laboratory for innovative experiments, especially in the industrial sector, were ideal conditions for budding and enterprising investors. 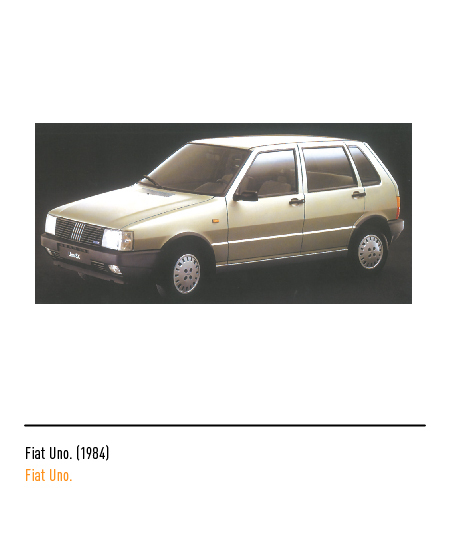 Very soon FIAT motor cars were selling well not only on the domestic market but also abroad, acclaimed as a luxury commodity for the elite consumer. 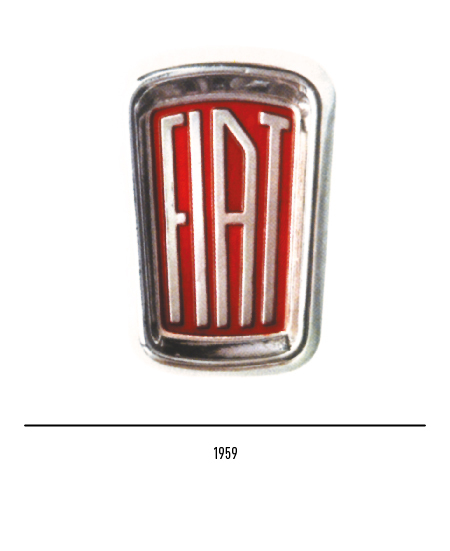 The house's first trade-mark came out with its inception in 1899. 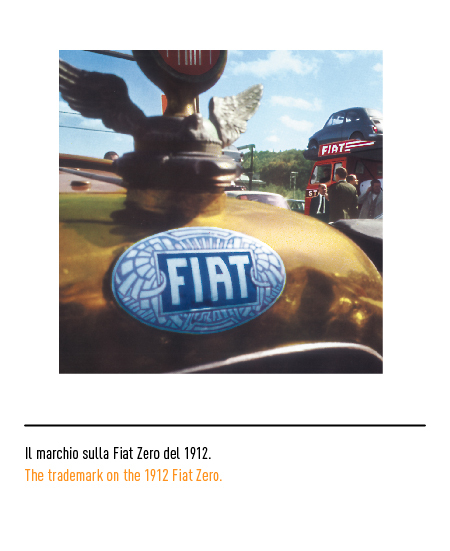 It consisted of a brass parchment-like scroll on the hood in the typical style of the times with hand-engraved lettering and a blank space after the "N" followed by the serial production number. 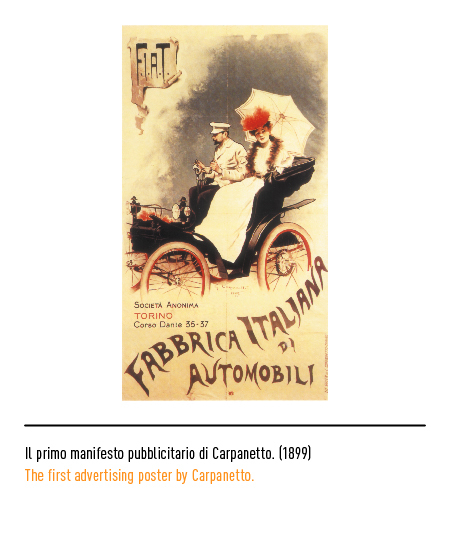 In the first publicity poster by Carpanetto punctuations marks were put in after each letter of the acronym. 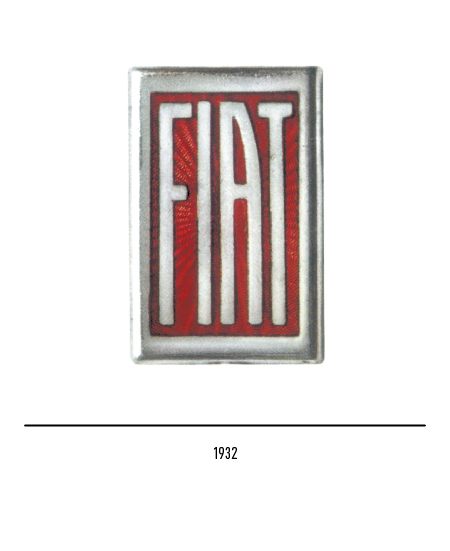 The gracefully twining 1901 trade-mark was clearly influenced by the prevailing art nouveau style. 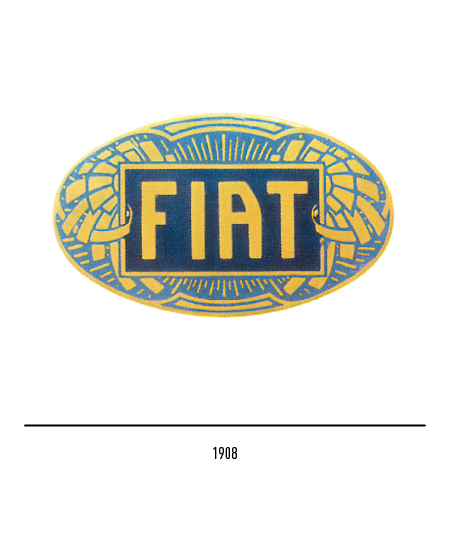 Another badge-like trade-mark appeared in 1903 with two stylised olive branches against a rising sun, most like an allusion to the biblical statement "Fiat lux". This device was placed in proximity to the pedal and the first time the acronym was given due prominence. The oval trade-mark that was to become so popular first put in its appearance in 1908. 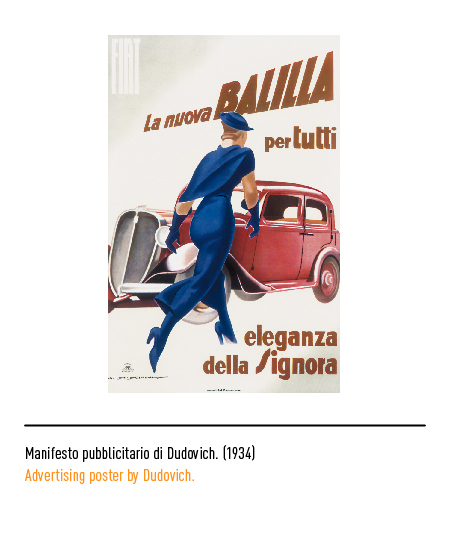 It is arguably one of the best art nouveau-style trade-marks to have been designed in Italy. 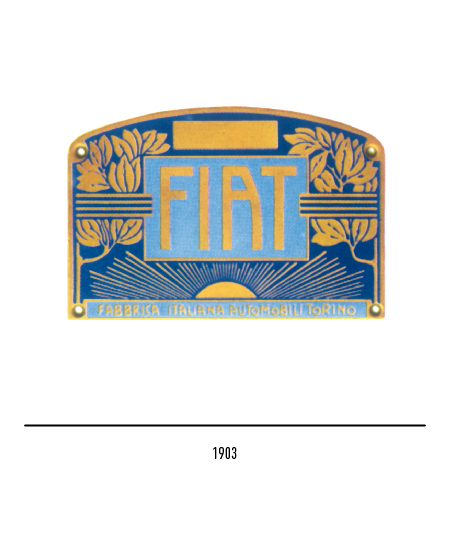 Golden lettering and decorations stand out against a Prussian-blue background and all the marque's motor cars up to the twenties sported this eye-catching trade-mark; it was designed by Carlo Biscaretti di Ruffia. 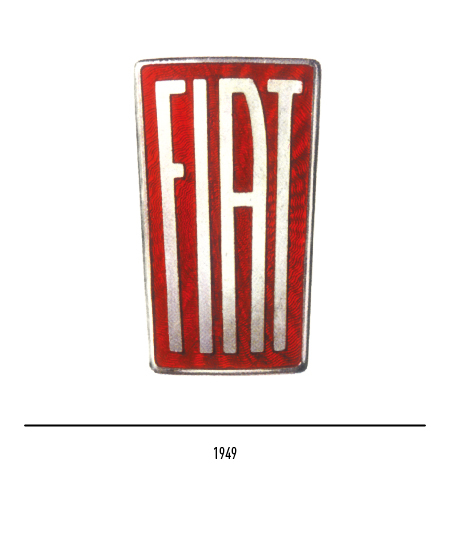 In 1921 the house began entering motor racing competitions and the new round trade-mark with a laurel-leaf crown designed for the occasion of its first competition was more or less used with slight variations up till 1932, when it was replaced by a rectangular trade-mark that was to become renowned on the famous Balilla model. 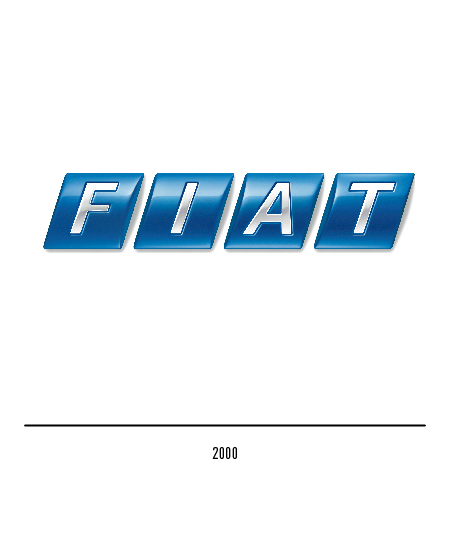 Interestingly enough elongated block lettering without any flourishes and with the letter "A" typically tilted was adopted to confer the trade-mark a modern look. 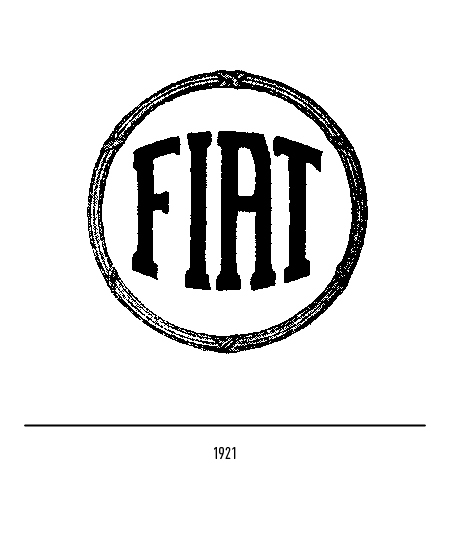 This trade-mark with the name FIAT against a red background was used throughout the thirties. 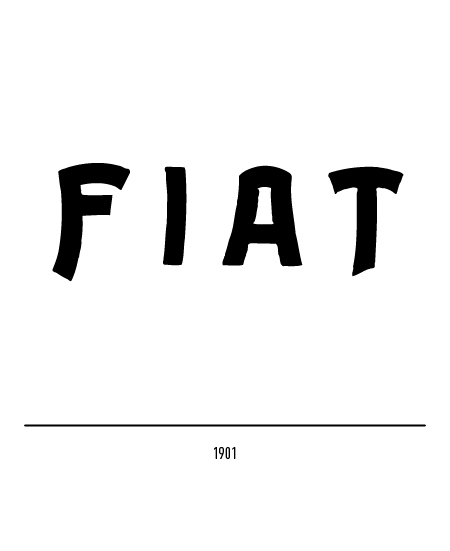 Thereafter, only very slight changes were made and the trade-mark survived intact until 1955, and even then only the corners of the "A" were sharpened. 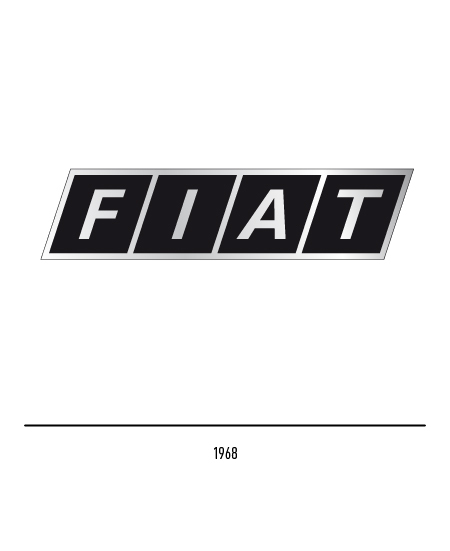 In 1964 the circular, laurel-leaf-crown-embellished trade-mark was used again, but only on racing cars. 1968 was a year of radical renewal by Armin Vogt of the Swiss agency, Reiwald. 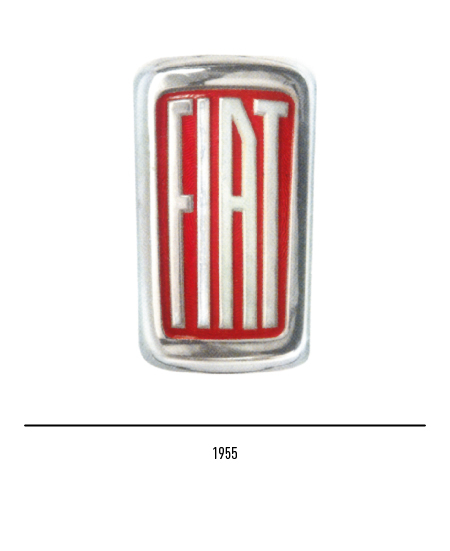 The new trade-mark was to become nothing less than the base element of FIAT's general identity. 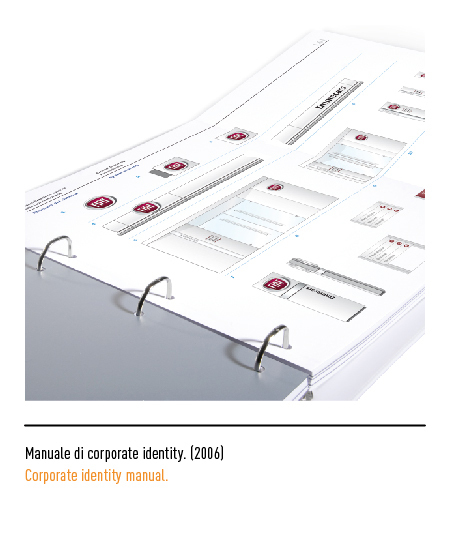 The challenge was to communicate the complexity of the firm, its vast product range and different sectors of operation, in as simple a manner as possible. To meet the challenge it was decided to focus on a single unifying element, the rhombus, in so far as it is a basic unit of architectural measurement. The device comprised four black rhombuses at a 72° angle with upper case Univers-style gold lettering. The rhombuses were changed to blue and lettering to white in 1972. 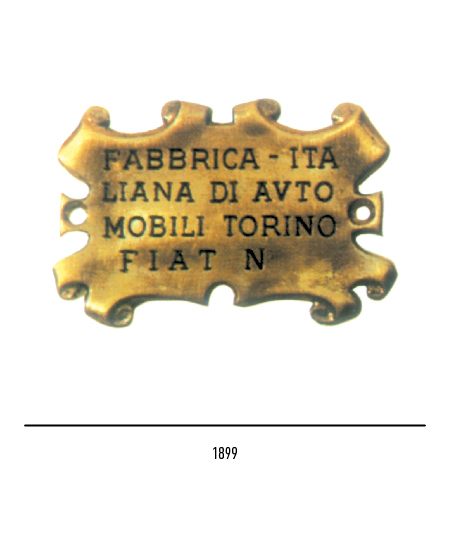 The FIAT trade-mark thus obtained may be seen as the outcome of a simple editing or assembly operation, in a way not unlike the manufacturing process on the shop-floor. Beginning in 1981 car bonnets began to be graced by five tilting lines obtained by the intersection of the four rhombuses. 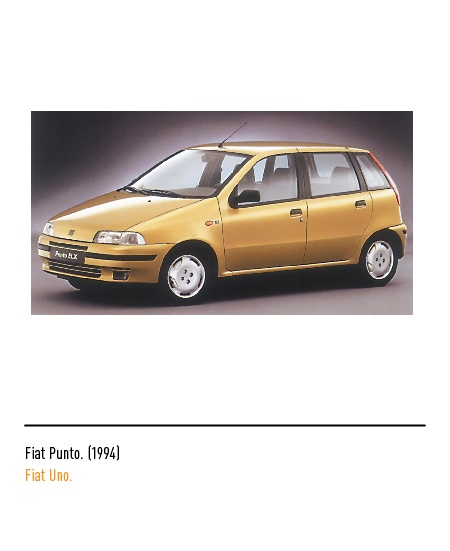 These lines appeared smaller in the cars of the nineties. 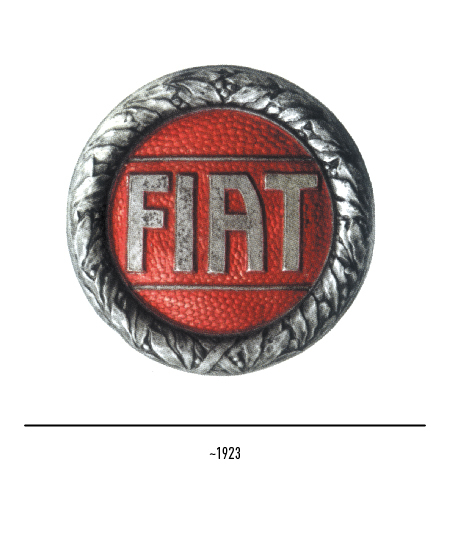 1999, the centenary year, was remembered by reviving the laurel-leaf-crown adorned round plaque of the twenties, albeit in an updated version. 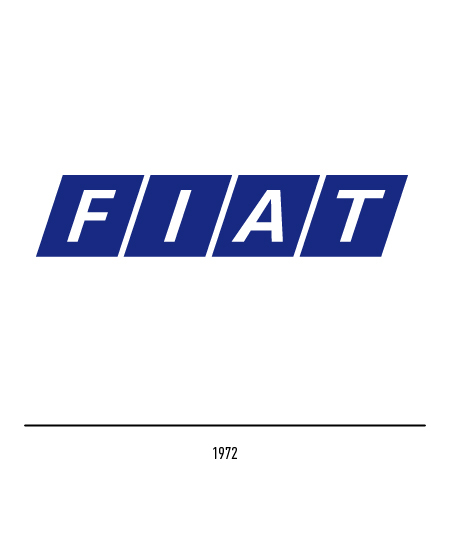 Only the bonnet logo of new cars underwent restyling but not the official trade-mark, which was changed slightly the following year by Maurizio Di Robilant to give it a more modern touch. 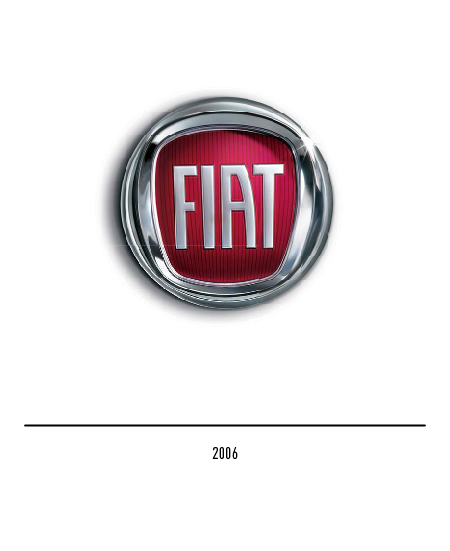 In the first years of 2000 succeeded to recover from the worst financial crisis which had ever struck the company; to celebrate such constructive experience, in 2006 the decision was made to operate a restyling of the logo, appointing the duty to Maurizio Di Robilant collaborating with the Centro Stile Fiat (Fiat Style Centre). 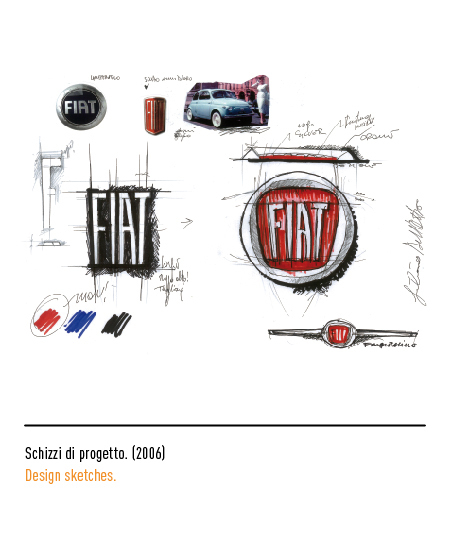 The new logo draws inspiration from the well-known shield characterising Fiat cars from 1932 until 1968, with its red background and the vertically elongated font. 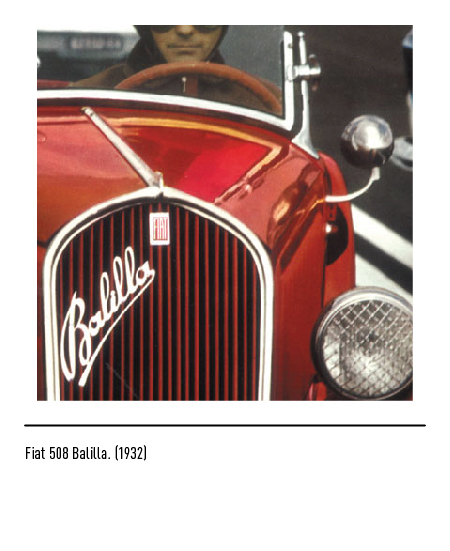 All of which is mounted in a round chromed frame giving a three-dimensional effect. 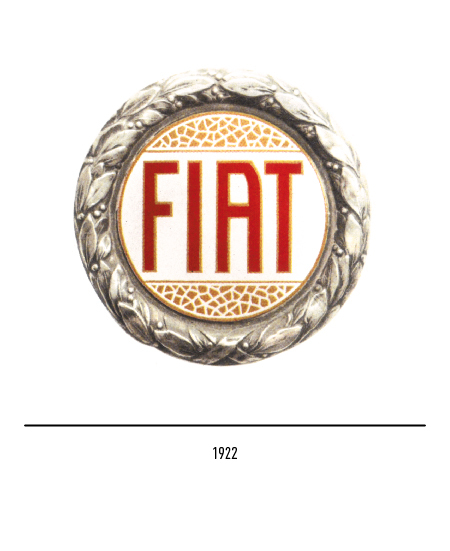 Such logo aims to show a scent of the Italian passion for technology and design, along with celebrating the round logo with laurel leaves of the twenties. 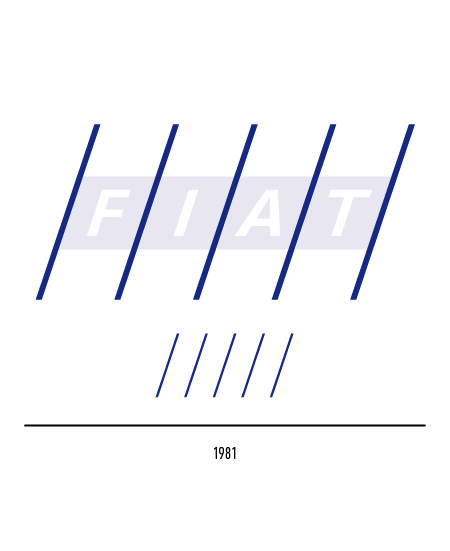 AAVV, ENCICLOPEDIA DELL'AUTO, Istituto Geografico De Agostini, Novara, 1986. 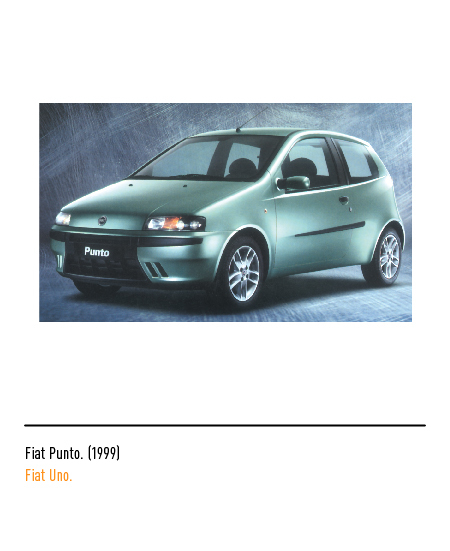 L’AUTOMOBILE, supplemento al n. 580, anno LIII, aprile 1999. 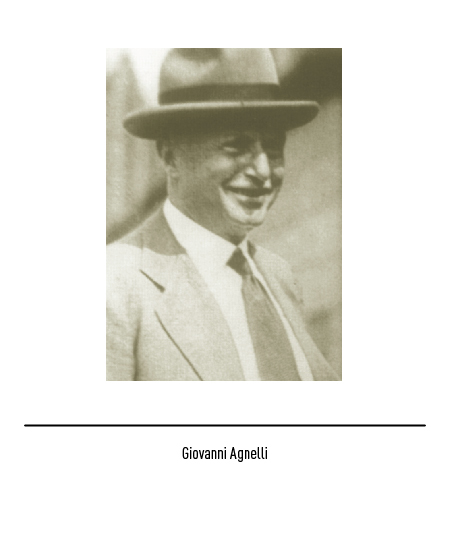 AAVV, L’ECONOMIA ITALIANA TRA LE DUE GUERRE 1919/1939, Comune di Roma/IPSOA, Milano, 1984. 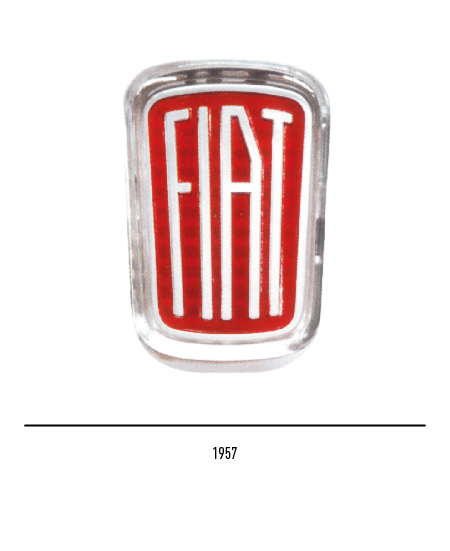 FIAT LINE, a cura di Oddone Camerana, Fiat Press Department, Torino, 1966. 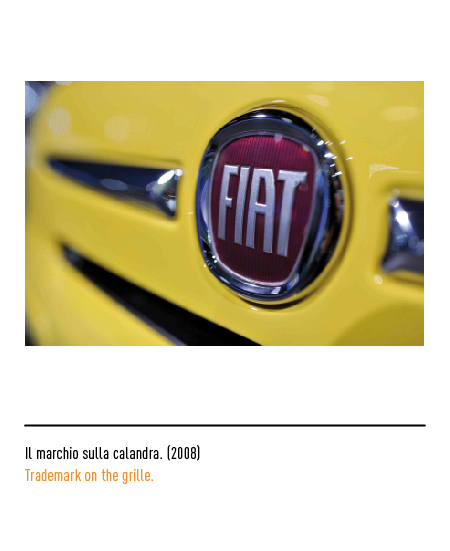 ITALIC 1.0, a cura di Paola Lenarduzzi, Mario Piazza, Silvia Sfligiotti, AIAP Edizioni, Milano, 2002.